So far this weekend, NAMM 2019 has turned out to be a mega showcase of music manufacturers from across the globe, and it seems that everyone has been taking full advantage of their time by unveiling new products for the new year. 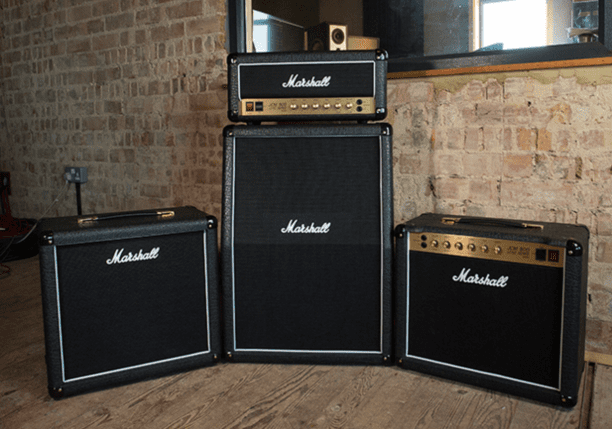 However, when Marshall entered the showroom floor with its new line of Studio Series amplifiers, heads were certainly turned — as these new amps look like a very promising new way to deliver an old-school Marshall tone in a more compact and modern package. The new Studio Series offers 11 new individual amplifiers and cabinets divided into three categories. Each model is designed for home, studio or stage use, and recreates various classic Marshall amps of the 50s, 60s, 70s and 80s. Each type of amplifier allows the ability to reduce its power between 20 watts, and five watts, dependent on the user’s playing environment. The Marshall Studio Classic is the company’s new and modernized take on the classic JCM800 2203, originally introduced in the 1980s — which became quickly popular among heavy rock and metal guitarists for its gritty distortion tone. The amp is available either as a SC20H Studio Classic amplifier head, or as a combo set-up (SC20C). It offers the ability to flip between 20W and 5W power at the simple flip of a switch. 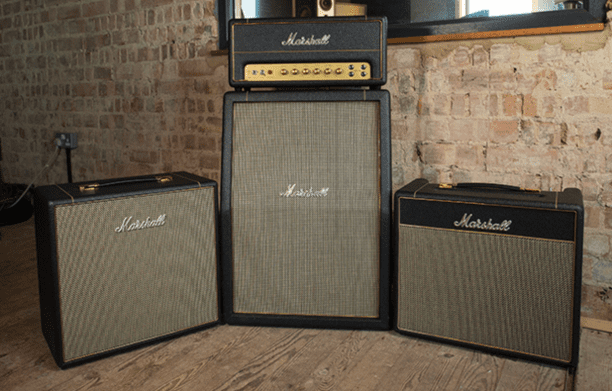 The new Marshall Studio Vintage is the re-vamped take from the company on its classic 1959SLP, which is one of the best-selling amplifiers by Marshall of all time. The design was compacted to fit inside of a modern looking package, and also includes the ability to flip wattage between five and 20 to better suit the player’s environment. The Studio Vintage is available as a head (SV20H), or as a combo amp (SV20C). 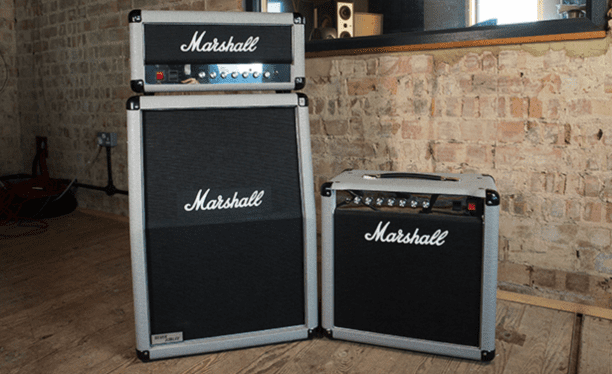 The Studio Jubilee from Marshall takes the reins of the Silver Jubilee series, which was released as a part of Marshall’s 25th anniversary amplifiers, in 1987. The amplifier was popularized through use by players such as Slash and John Frusciante, and is known for its ferocious rock tone and split-channel setup. Like the others, its new package is switchable between 20 watt and five watt power configurations, and is available as an amplifier head (2525H), and a combo package the 2525C.